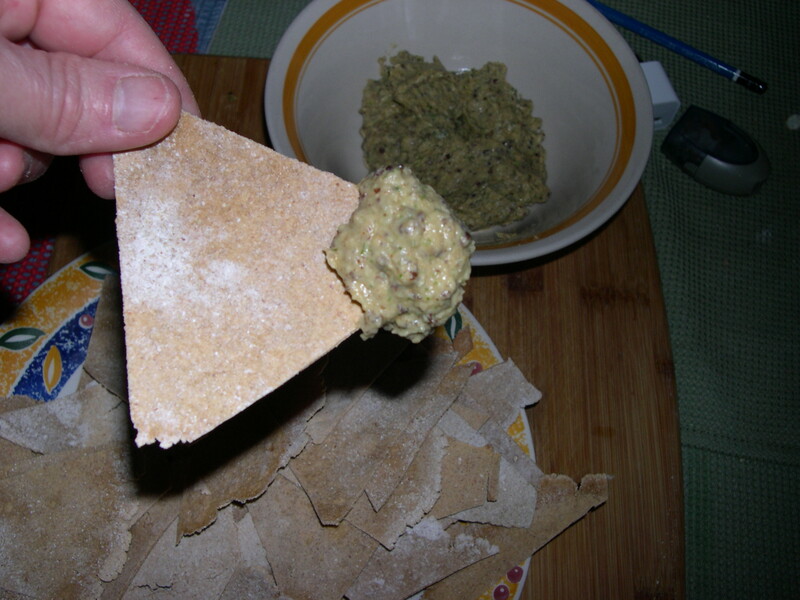 Organic Scratch Cooking-It’s Hummus Time! You know you can buy garlic from your local grocery store, break the head up and plant individual cloves for new home grown garlic bulbs? Garlic is one of the easiest garden plants to grow. Garlic doesn’t like wet, so mound your garlic bed up before planting cloves. Best to plant early spring or late fall. I have a manual hand-mill just for grinding corn and oily seeds that I can use but I also have a electrical powered ninja blender that will grind up just about anything. I also have a hand mill just for very dry grains. My hand mill for grains came with a metal head for oily seeds but the mouth is too small for corn so I bought a cheap corn grinding mill that works great for grinding wet soya bean or oily seeds. If electric goes out, which it does often during the winter I can use my hand-mills for making our meals. If the electrical grid goes down I will miss my warm water and computer but we won’t go hungry. Blend up veggies nice and smooth and add smoothly blended garbanzo beans, blend everything together with a spoon. Taste often, add what ever seasoning you like, I like soya sauce for that salty kick and some cyan pepper. I I don’t measure anything, but I kinda of add 1/2 cup of oil to a quart of garbanzo beans, a handful of parsley, a handful of garlic cloves (the more the better), 1 lemon, remove the seeds and skin, throw lemon pulp in the mix, 1 cup of sesame seeds or tahini or peanut butter. 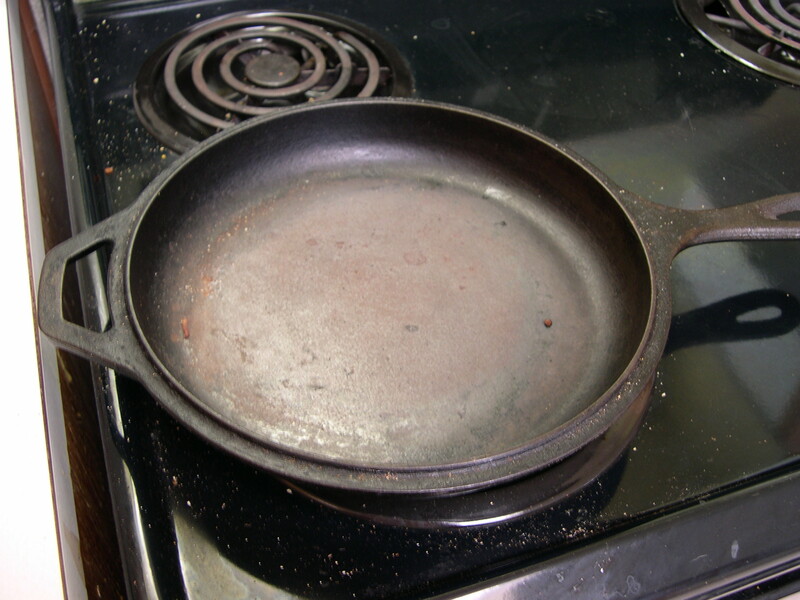 dry hot pan at low medium for 2-5 seconds on each side. 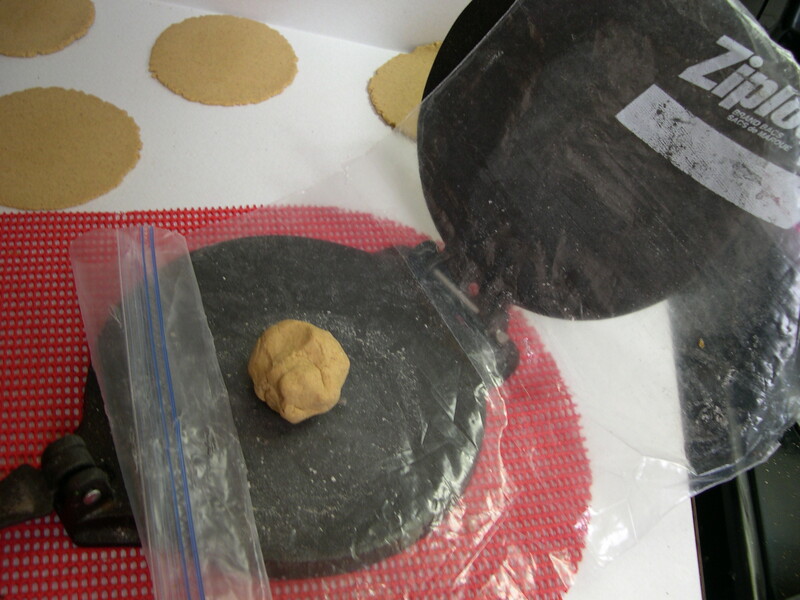 be sure and flour each side when rolling out pressed dough balls! 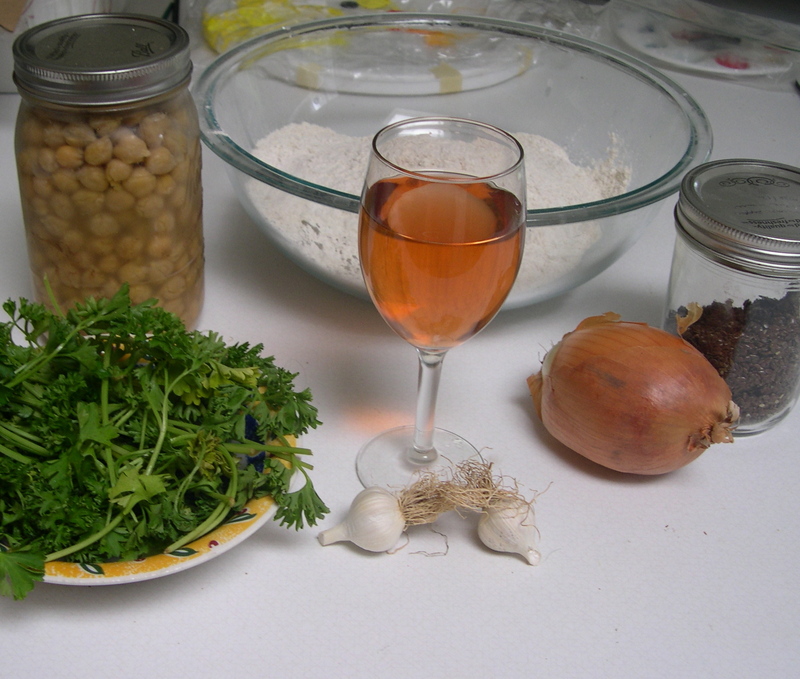 Ingredients for humus mixed together. Blended by my Ninja blender. I blend garlic, onion, oil, sesame seeds, and parsley together till smooth. I blend garbanzo beans till smooth. 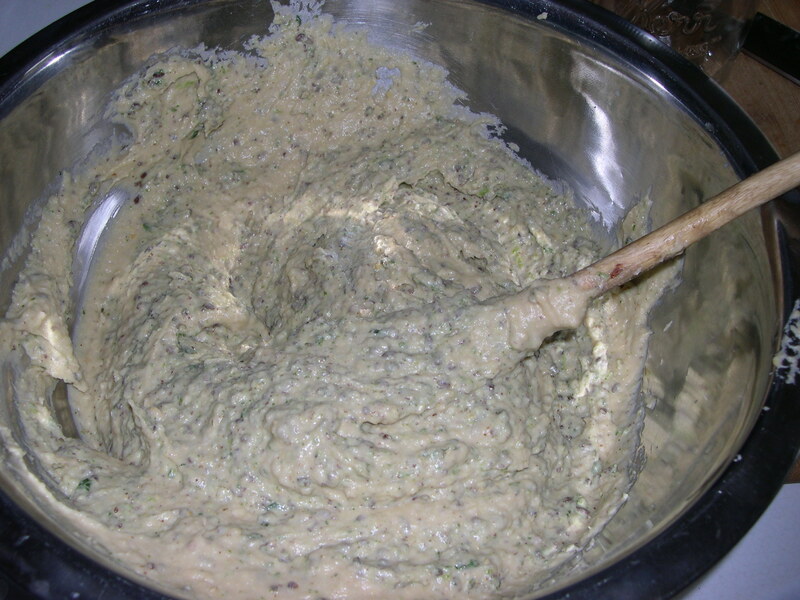 Mix both batches together for a nice chip dip. 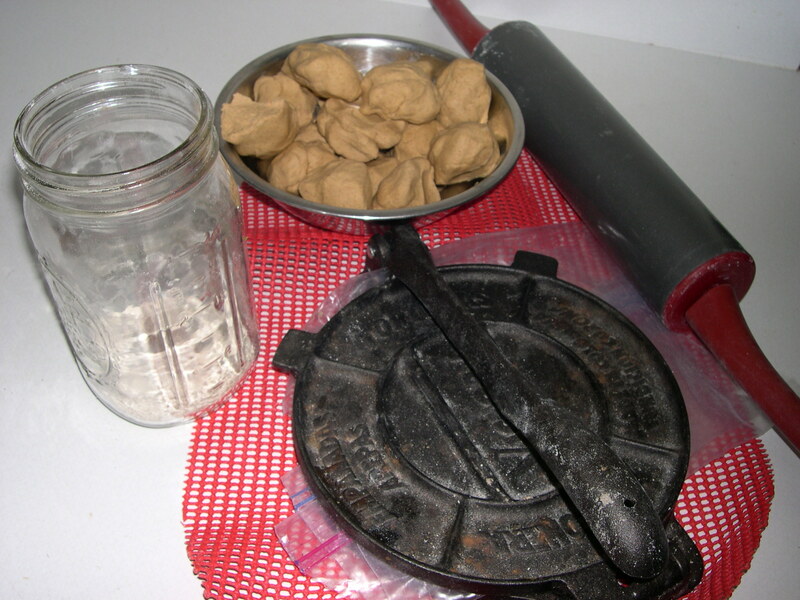 Pressing out dough balls. 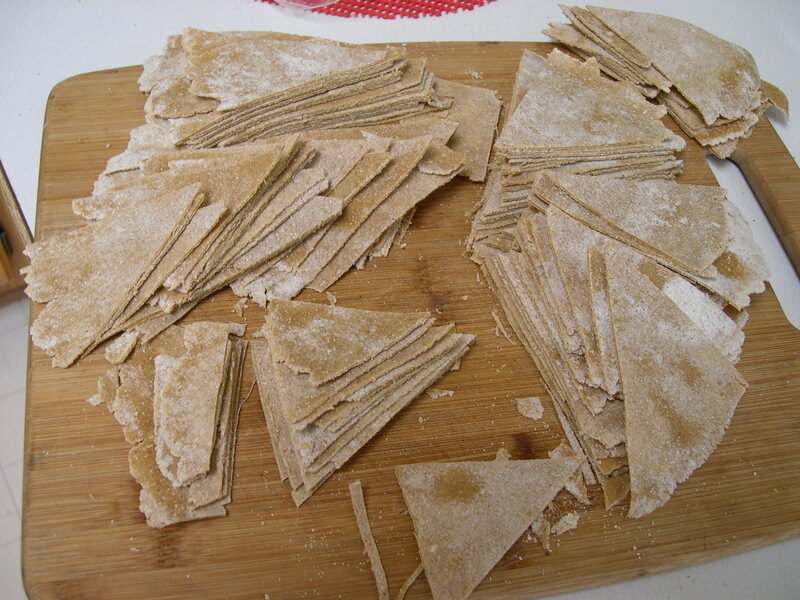 A couple cups of flours with a teaspoon of salt, add spices you like and some hot tap water. 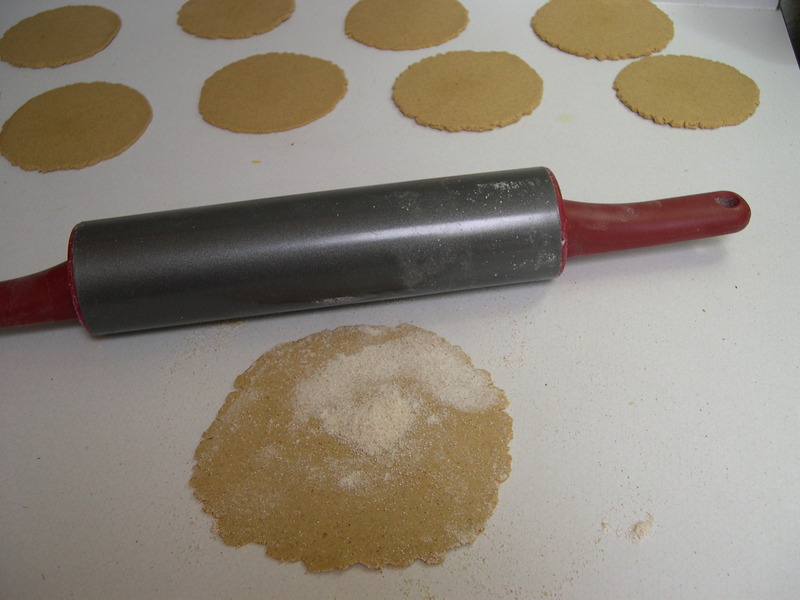 Save about 1/2 cup flour if you need to add more flour. 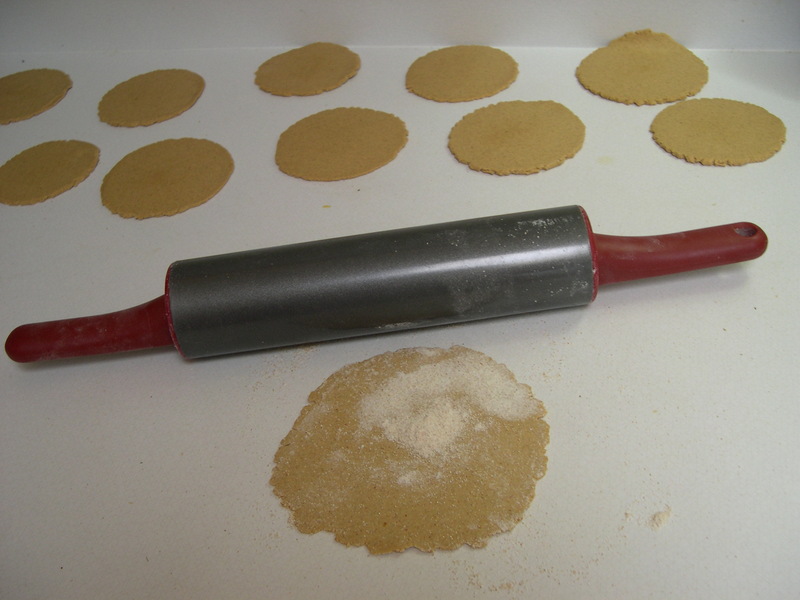 Mix water into flour with spices until you get dough you can handle without sticking to your hands. Knead dough for 10 minutes. 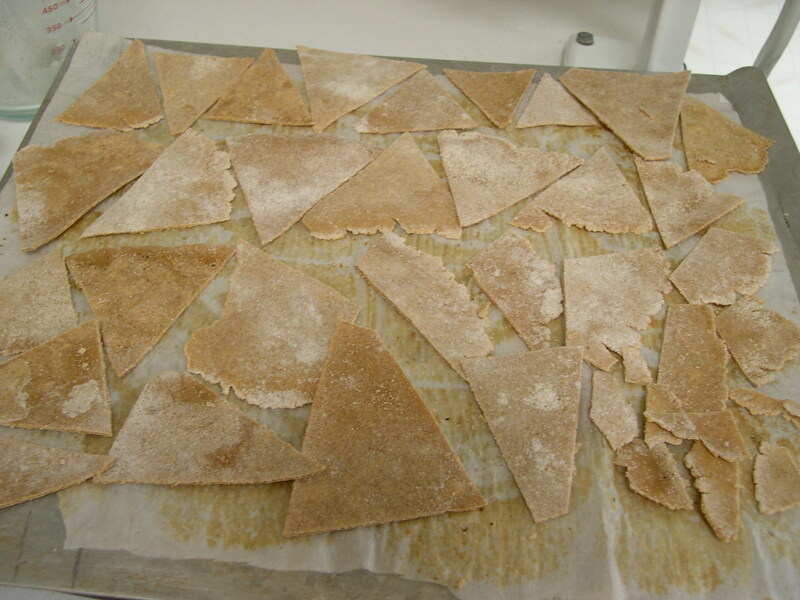 Put aside with a moist towel to cover for about 15 minutes. 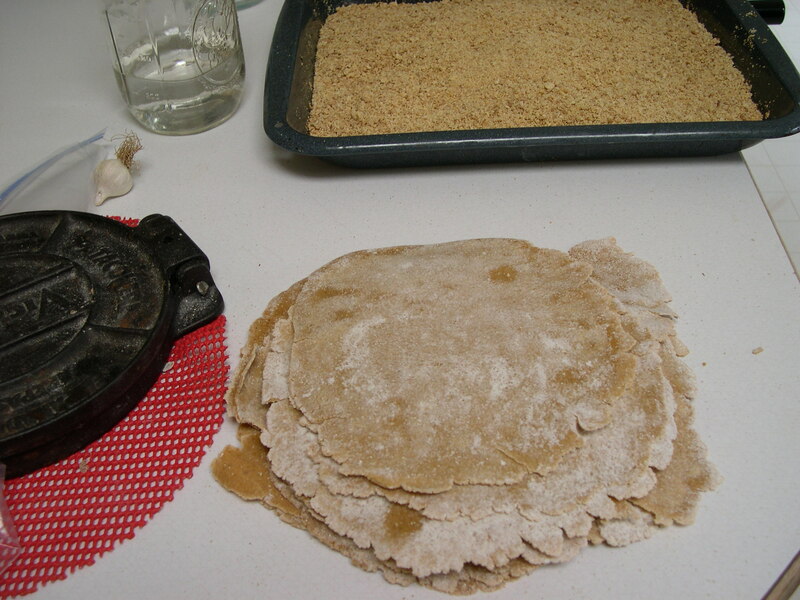 When you roll out the pressed dough, make sure to cover bottom and top with flour or your tortilla will stick and tear. 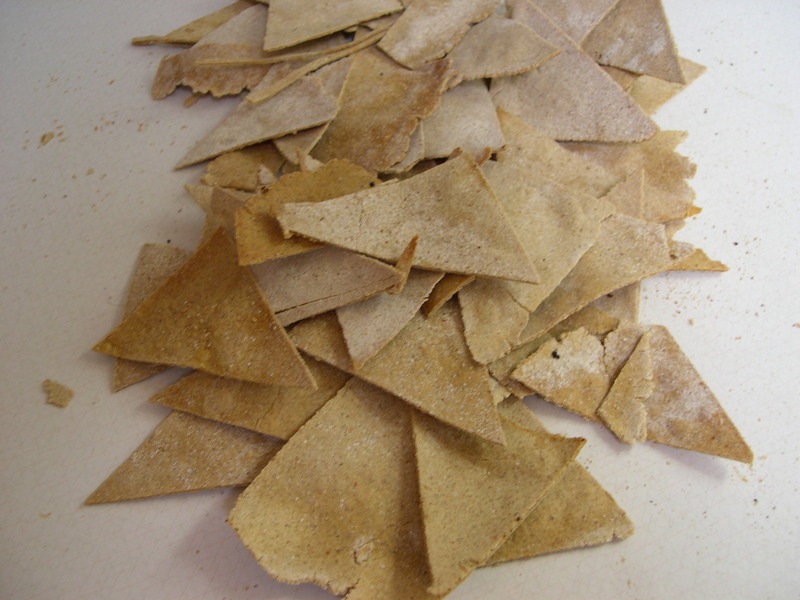 I make tortillas for chips from hand milled organic buckwheat and soft white wheat with soy flour made from the pulp left over from making tofu. I think I have the recipe here on my blog. Click on the photo for some really mean vegan and vegetarian quotes posted on people’s blogs. Some of the most angry hate filled people I’ve talked to are vegan or vegetarian. I guess eating a plant-based diet does not make one an empathetic, kind, and caring person. When I don’t accept a Vegan’s or Vegetarian’s view regarding diet, especially when tied to their religion they verbally tear me apart like a hungry lion. Do a search online and you will see vegans and vegetarians making fun and saying awful things about people who do not follow their way of thinking. All the while saying they are good and kind people because they care so much about animals, earth and the environment. If you can’t be kind to people first how-in-the-heck are you going to be kind to anything else? Sometimes I feel as if militant vegans wish all humans were dead. It’s like they hate being human. Don’t get me wrong I don’t hate vegans or vegetarians for verbally abusing me or others. I feel sorry for them, what a twisted way to think. I have friends who are vegan and very kind to animals, even kind to me a human if I don’t talk about eating meat with them. I’ve seen hunting groups of vegans and vegetarians online that will literally tear you apart and hang your head on a stick and dance around counting coup. Be careful not to mention self defense or owning a gun or the second amendment, the right to bare arms. These kind and caring people will take a verbal baseball bat to your head and bash your brains out.